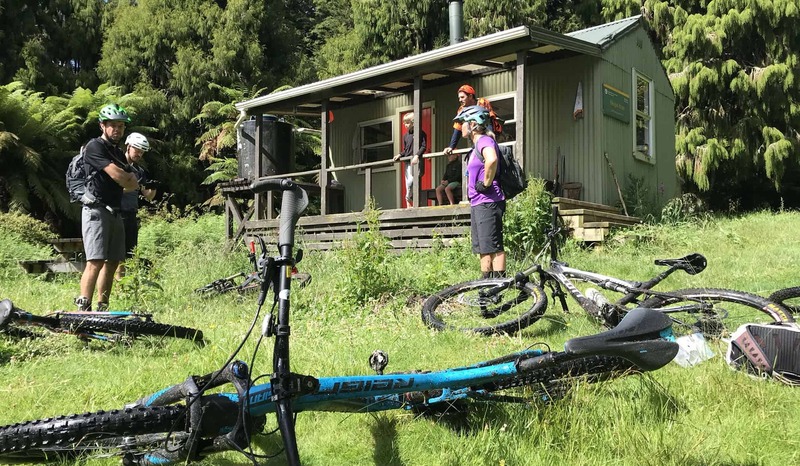 The Moerangi Track is a 35km adventure ride through pristine native forest with historic huts. 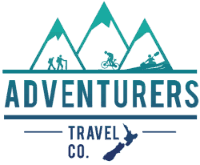 This Grade 3 trail will take most riders approximately 4-5 hours of riding or a 6-7hr day out in the bush. The track varies in technical difficult depending on the track condition. 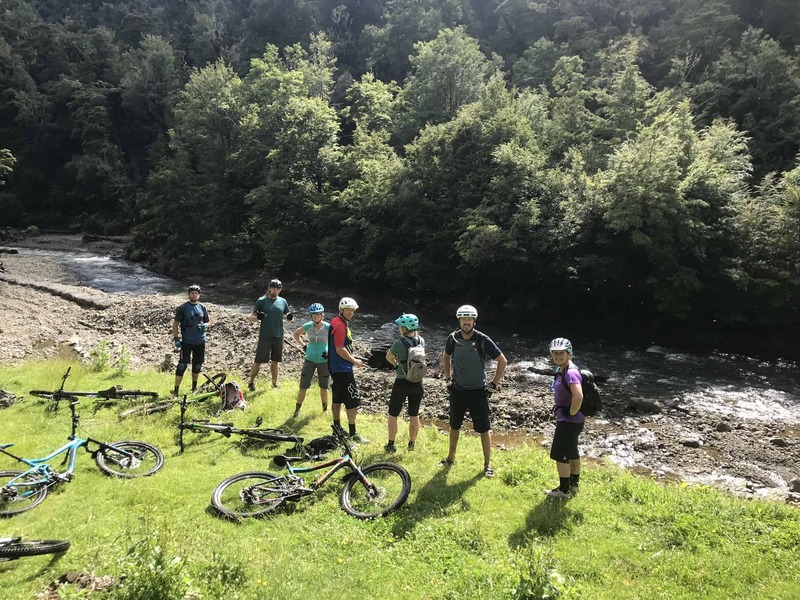 The Moerangi Track takes a battering from the weather and water errosion. The ride is also challenging as there are some steep climbs and exposed sections. 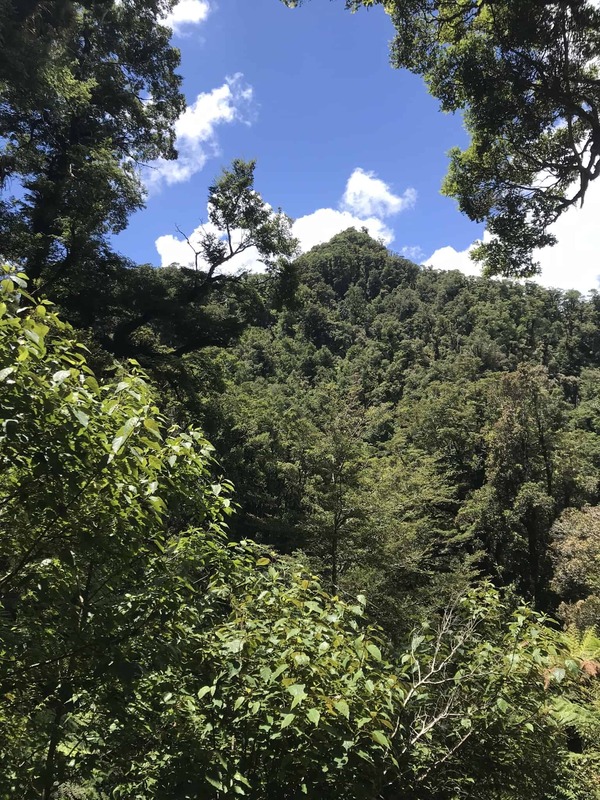 The pinnacle of the Moerangi Track is reaching the Moernagi Saddle (after approx 1000m odd of climbing), where glimpses of a view can be seen through the trees, before heading down an awesome and long downhill (~8Km) through native bush. 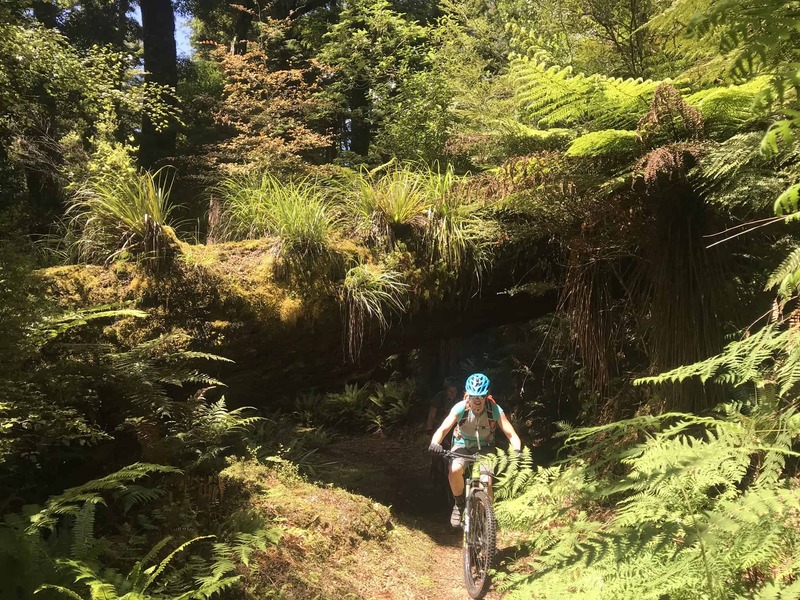 This is New Zealand’s longest single track in native forest! The track starts at Okahue Road end, where within a few mins up the track, your wondering what your doing here with your bike as your faced with steps … Don’t worry though, this is not a taste of what is to come! The first climb used to be the most technically difficult, this isn’t the case (2019) as there has been some hard yakka put into improving the track surface. It is however, still a tough climb to start a ride! After this you follow a stream and decent towards the first of the historic huts, Skips Hut. Before some more uphill (with some steep sections) to the 2nd hut Rogers Hut. 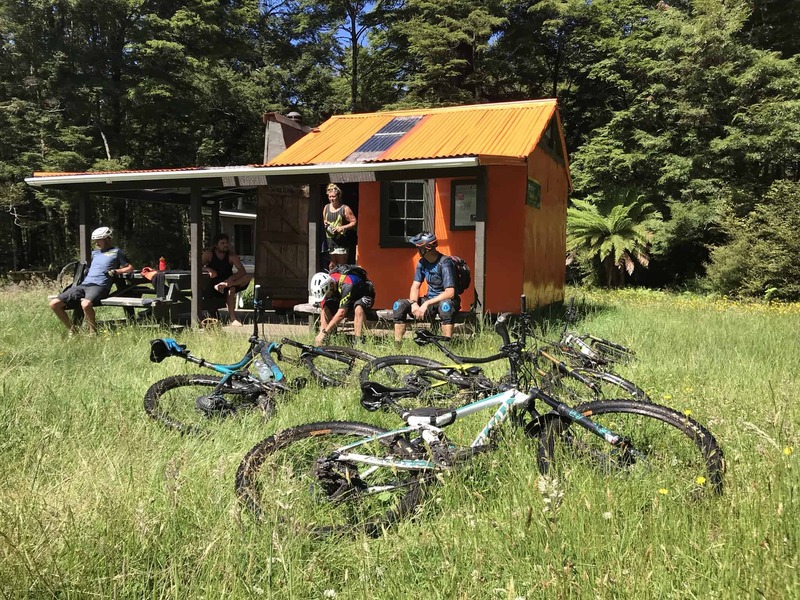 Rogers hut is a great example of a historic hut, with only a few modifications since it was built in 1952 by deer cullers, one of which includes a stain glass window! 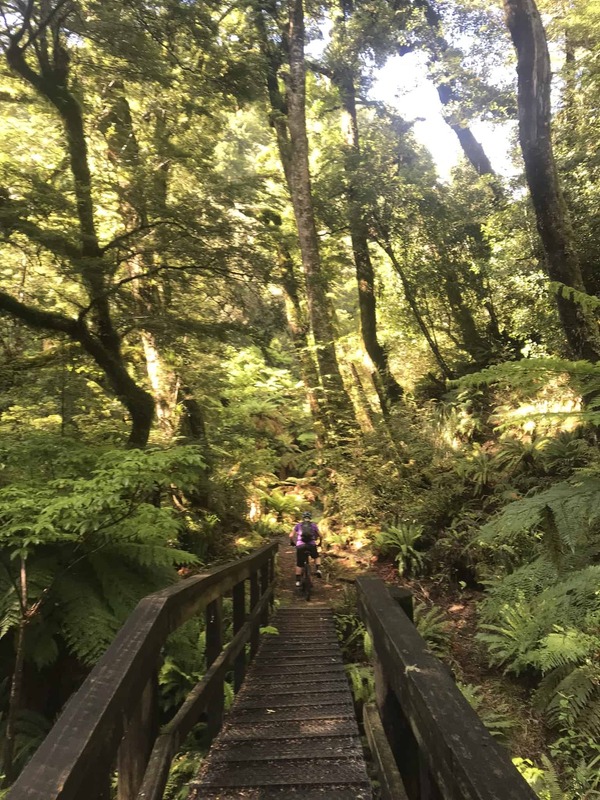 After Rogers hut, the track undulates along the side of a valley, quite exposed in a couple of places until a short detour takes you to Moerangi Hut. The real grunty climb starts here working your way up and up for 5km. When you think you’re nearly there Moerangi Summit appears before you at one point, and you realise how far you have to go! For us in late Dec 18 this part of the track was in bad condition. With water ruts appearing in the track and some parts washed out. It all adds to that wilderness feel! After crossing over the saddle the track becomes exposed on the left now and starts to decent. The downhill is epic. Just watch out for some of the big rutts! The native bush towards the end of this ride seems to get even better, with big Rimu trees towering over you. It’s important at some point during this ride to stop and appreciate what is around you. Not many people get to see this forest because not many of them are brave enough to take on the ride! This ride has been called ‘Iconic’. It is real backcountry New Zealand, out in the wilderness with no mobile signal, laced in history and surrounded with unique kiwi flora. Challenging in terms of both fitness and technical skill. So goes with out staying it’s a great ride! Adventurers can organise your personalised mountain biking holiday in New Zealand to include this awesome ride and many others. Contact us now to start planning.